Like you, I want to do everything right so my marijuana buds have their maximum THC, flavor, aroma, weight and attractiveness. The simple fact is that you can do everything right all the way to harvest time, but then if you make mistakes, you degrade your precious buds. Your harvesting process starts several weeks before you cut your plants when you carefully monitor your buds during late bloom phase. Harvest timing is crucial. 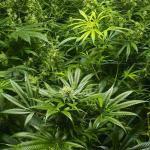 Harvest too early, and you lose weight and potency. Harvest too late and you lose THC. The way to time your harvest precisely is to monitor the condition of your resin glands, using a 10x or higher magnification device. Try the lighted magnification devices made by Eschenbach. Let’s say you’re growing a variety of Kush hydroponics marijuana and the breeder told you it’s supposed to be ready after nine weeks in bloom. Starting around the sixth week in bloom, use your magnifier to examine your resin glands. The glands look like a golf ball on a tee (a round head on top of a stalk). 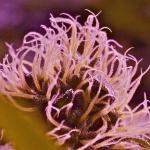 In peak bloom phase, healthy marijuana flowers have many stalked glands. The resins in the rounded heads should be crystal clear. Nearly 100% of the stalks will have round glands on top. The glands should fat and inflated, and the stalks are upright and firm. As harvest time approaches, you see stalks starting to collapse or totally fall over, and round heads falling off stalks. You may see the color and clarity of the round heads changing from crystal clear to cloudy (opaque) or amber. Accompanying these changes in your hydroponics marijuana will often be changes in the hairs in your buds. The hairs will start to go from pure white and firm to rust-colored or some other dark color. They might look like they’re drying up. Deterioration of hairs and glands doesn’t always happen together. When in doubt, trust the glands, not the hairs. These visible signs of late bloom deterioration reflect chemical cannabinoid changes taking place in your resin glands. As resin glands go past their prime, their THC breaks down into cannabinol (CBN). Unfortunately, CBN does not get you high—it makes you feel sluggish and burned out. That’s why it’s important to harvest when your resin glands are at their peak of THC. When 10-20% of your glands are staring to show signs of deterioration, you’re in target range to flush your hydroponics crops for 7-10 days. After flushing, you harvest. Sometimes resin glands deteriorate because your plants have nutrient deficiencies, especially carbohydrate deficiencies. Early deterioration could also be a sign of over-fertilization, burning from being too close to lights, or your marijuana plants could have root disease. Another possibility: you’re growing plants from seed and they’re expressing different maturation rates. Some will be ready before the predicted bloom time; others may take longer. There are natural genetic variations in some seed sets, depending of course on genetics. If your resin glands are deteriorating way early and you’re not sure what’s up, cut a bud and properly dry it, then smoke it and see how and if you like the high. If you love the high, you can time your flush and cut accordingly. If not, you give your nugs more time to mature. In general, I recommend doing these incremental mini-harvests every five days, starting when you’re at 65% or more of the recommended bloom time. This gives you an ongoing tally of how potent your buds are, and turn you on to the varied effects of differing cannabinoid ratios that develop within your resin glands as bloom phase progresses. Monitor the relationship between resin gland deterioration, harvest timing, and the kind of high you get from your marijuana. You’re likely to find that waiting until 25% or more of your resin glands are past their prime gives you heavier weight and a heavier, more sedating high. On the other hand, most of us prefer to harvest earlier so we get a purer THC high, with less CBN. You too may find that flushing and harvesting when your resin glands first show signs of round heads falling off and stalks collapsing gives you a clearer, more energetic high. Harvest timing opens up a lot of possibilities for you to experiment with getting different effects from the same marijuana plants because cannabinoid percentages and ratios ripen and shift over time. 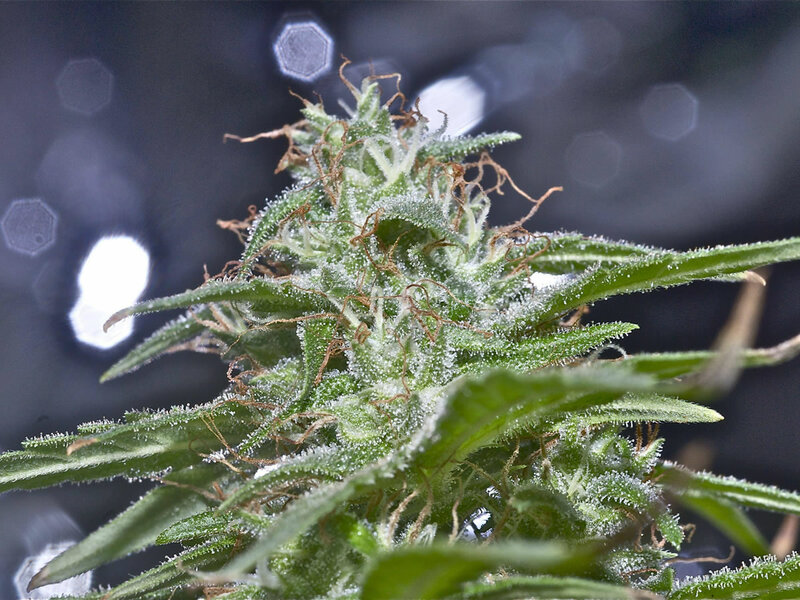 Harvest a few buds every five days after you’ve passed mid-phase in bloom cycle, and then you and your marijuana buddies can sample the buds to analyze the differing effects. Whether you’re growing hydroponics marijuana or outdoor marijuana, harvest timing is very important. Now you know how to do it right!